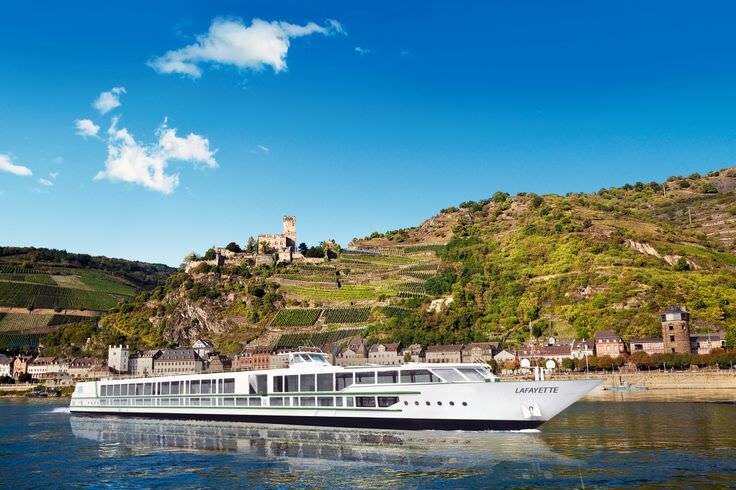 CroisiEurope offers 41 different Rhine River cruise itineraries that range in length from 4 to 18 days. Most cruises are roundtrip from Strasbourg and do not include destinations south of Strasbourg, such as Breisach and Basel. The company has only two packages with travel between Amsterdam and Basel. Several of its itineraries feature other waterways in addition to the Rhine River. You’ll find itineraries with travel on the Main, Moselle, Danube as well as some less common rivers like the Neckar and Saar. Now, let’s take a look at two of CroisiEurope’s Rhine River cruise packages. This is a 7-day cruise from Amsterdam to Strasbourg. Some of the destinations visited are commonly featured by other river cruise companies; however, there are a couple that are unique to CroisiEurope. Also, there is an excursion featured on the first night of your trip. CroisiEurope has 11 ships for this itinerary. You can read more about the company’s ships here. They vary in size; although, in general, CroisEurope’s ships tend to have smaller staterooms and tend to carry fewer passengers.